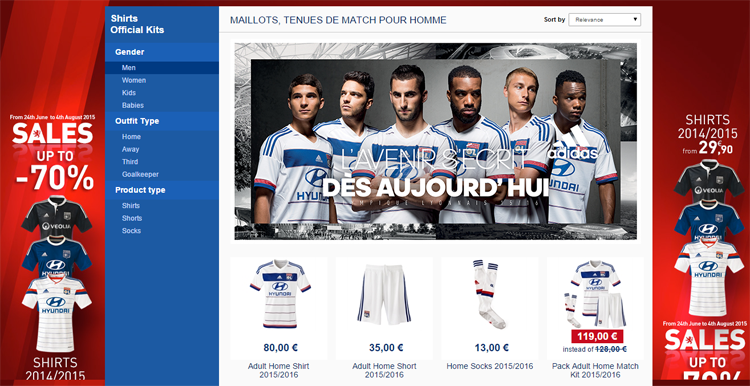 We were lucky to chat with Jean-Arnaud Eyme, head of ecommerce at Olympique Lyonnais and a happy user of AB Tasty. 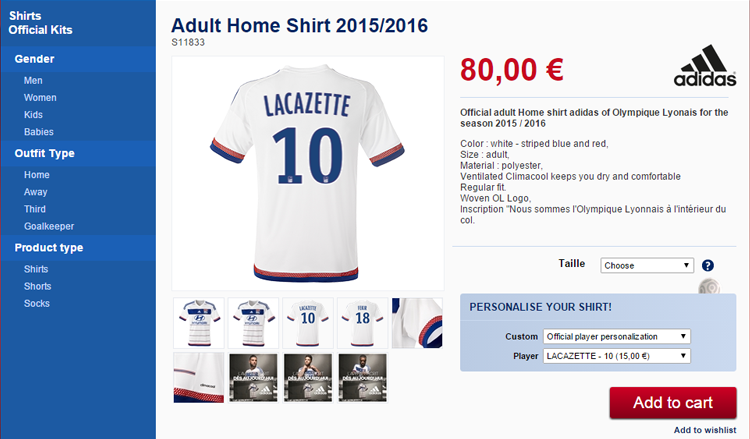 Unlike the previous interviewees appearing on our blog, OL has a contract with limited support. This means that the way testing is managed is substantially different, since Jean-Arnaud keeps an eye on things in-house. Hello, Jean-Arnaud Eyme, could you tell us about yourself? 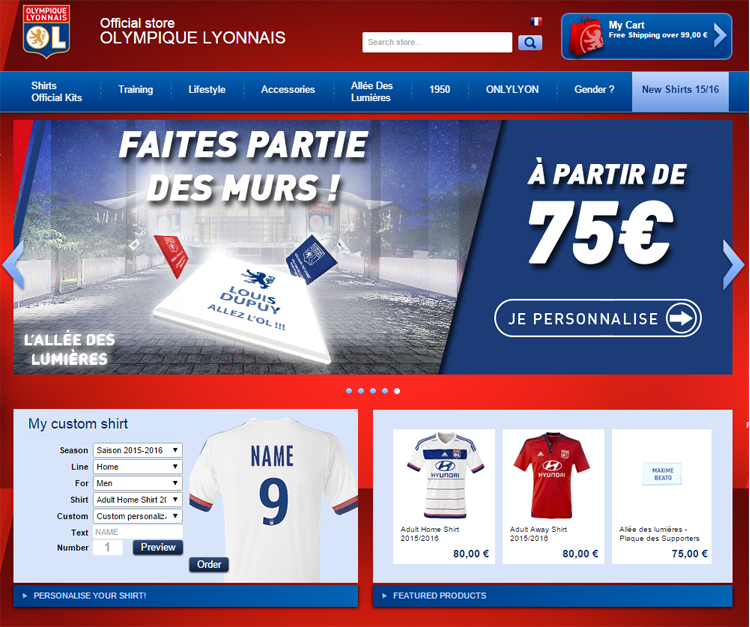 I am Head of ecommerce for Olympique Lyonnais, in particular I am in charge of the online shop which sells spin-off products. My work is to run the shop, its merchandising, acquire traffic, create user loyalty, optimise ergonomics and the conversion funnel. I also manage the customer service and logistics. My objectives are primarily focused on the business side: acquiring traffic, optimising the conversion rate and increasing the size of the average shopping basket in order to increase turnover and revenue. What are the common problems you encounter? What are your objectives and what exactly do you measure? 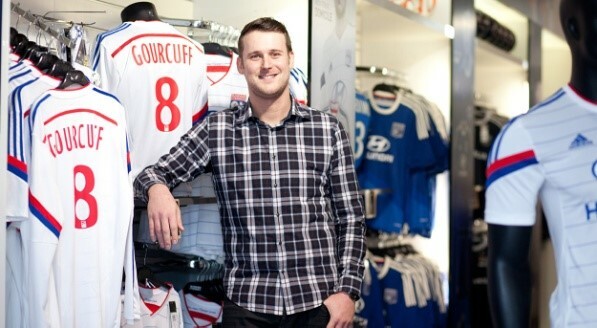 We sell the club’s spin-off products, such as shirts, match strips, training strips, goodies (mugs, pens and the like), bath towels, socks, books, school supplies – an extremely wide array of products with over 600 articles on sale in the shop, with match strips being the bestselling product. We primarily measure conversion in the online shop. We try to attract a maximum of quality traffic: fans we already know from our database and social networks or prospects interested in sports whom we find through the traditional traffic acquisition channels (search, display, etc.). So my job is to convert these visitors into buyers. I also try to enhance the quality and richness of the database by collection action such as competitions or registration drives. Why did you decide to integrate AB Tasty in the optimization of these objectives? AB Tasty makes it possible for us to test mainly graphic or ergonomic optimization in a scientific way, to meet the conversion challenge. For very simple actions like enlarging a visual or a button, I can determine exactly whether or not this improves my indicators for conversion, average basket, return visitors, etc. AB Tasty’s customisation module allows me to create reassurance areas and promotional inserts or to amend labels that are important for conversion without bringing in the technical teams. If you know the basics of HTML/CSS, then you have an advantage, of course, in customising pages, but the tool is still very simple and going live with campaigns happens very quickly thanks to native features: deleting an item, changing a text, etc. For example, if I need to change the title of the first page of the purchase funnel, it could be long and complicated to go through the technical teams: you need to make the change directly in the template, test it in pre-production and put it into production… With AB Tasty, I can change it in two clicks and it’s done. For more complicated tests or customisations, I can easily reach the AB Tasty customer service. I consider support to be very important. Can you give us examples of tests you have conducted? Of course! We first conducted several tests on product information. We mostly tested the text size; the size and colour of the price tag; then the size, colour and shape of the “add to basket” button. We tested combinations of title/price/button and we produced the combination that generated the most conversions (the winning version was the one with all these items enlarged and a red price/button combination which contrasted nicely with the rest of the page). We also tested the possibility of removing the browsing menu from the left column of the same page and enlarging the product information on the space thus gained, particularly the visuals of the product. This test generated no losses or gains. As it was neutral, we changed nothing there and maintained the initial configuration. The second major test was browsing the entire purchase funnel: this was a multi-page test covering the entire conversion scenario, that is, a series of five pages. Fifty per cent of web users saw the page unchanged and the other 50% saw the conversion tunnel (from the basket to the end of the order) without the horizontal browsing menu. The search engine and the footer of the site were also concealed. So browing options were very limited to focus users on buying. This test led to an increase in conversions and the size of average basket. Why did you decide to test these particular elements? I followed ideas I had gleaned online. I have found many articles on optimization techniques and A/B testing, especially on the AB Tasty blog. People publicise their best practices for optimization in ecommerce and talk about the problems with ergonomics today: does browsing add too many clicks and slow down the customer? Can the size of a button affect its call to action? … All these ideas can work for one site but not for another, so they must be tested. What will you be testing next? As one of my upcoming projects, I would like to test the differences in performance between the presentation of products as a list or as a grid in the category pages. The list makes it possible to show the product and a description, whereas the grid displays more products but with less content. Many sites use either or both options, but it is very difficult to find out which type of display generates more conversions. My second project is a complete redesign of the site. We are soon going to change our ecommerce platform and offer a new design and new ergonomics. Then we will set up tests on the new elements. The aim is to accumulate many small improvements very quickly while optimising the design and the customer journey to increase the add-to-basket, conversion, etc. rates. Do you have an anecdote about the OL shop? A little story about the traffic coming from search engines: the key words typed are often quite amusing, such as “mayo” [for “maillot” – shirt but it’s written as Mayonnaise]… We have had to adapt: if you test the site’s internal search engine, you’ll find that we do have search results for “Mayo”.